A Different Kind of Kindness - META-Health Academy. At the end of a recent yoga class, our teacher told two stories during the relaxation session. The message of the first was to notice others, as everyone is important. The moral of the second was to transcend prejudice and act with kindness to others. Simple but powerful messages. As we walked in the woods later that day, I mentioned the stories to my colleague Robert. ‘Ah’, he said, ‘but there’s a much more important message that’s missing from these types of stories’. There’s a bigger, more pressing need for kindness in our lives. This need is shared by almost all of the clients who come to us, whether their focus is stress release, career change, relationship issues, developing confidence or overcoming anxiety. This is the need to be kind to ourselves. We’re so busy running around trying to fulfil our commitments and please others that we can forget our own needs. Not only can this lead to feeling stressed, frustrated or resentful, it also has a negative impact on our health. META-Health demonstrates that most of our health issues stem from a variation of one theme: lack of self-acceptance and self-love. Using either the META-Health enquiry process or the Emotional Pattern Elicitation Process, we can trace the majority of health issues back to this core theme. The most obvious connection between self-worth issues and physical symptoms is in the organs directed by the Cerebral Medulla. The Cerebral Medulla is the brain area in relay with the majority of our musculoskeletal system, including the bones, muscles, joints, tendons and fascia. Issues such as arthritis, osteoporosis, muscular pain, clicking joints, musculoskeletal stiffness and tension are all directly connected to issues of self worth. The keynote for Cerebral Medulla-directed organs is self-devaluation; that is, undervaluing ourselves. This is usually mirrored by overvaluing others, and can manifest in thoughts such as ‘I’m not good enough’ or ‘others are better than me’, along with feelings of unworthiness, inferiority or guilt. Symptoms in other Cerebral Medulla-directed organs are caused by different forms of self-devaluation. For example, with the myocardium, the heart muscle, the feeling of being overwhelmed comes from taking on too much and trying to prove oneself. Even more interestingly, we can trace the theme of self-devaluation beyond the Cerebral Medulla. On a recent META-Health Practitioner course, we did a demonstration on a student’s rosacea-like symptoms (rough, red spots on the surface of the cheeks). The SEE (significant emotional event) preceding the appearance of the spots had been a social experience that resulted in a deep feeling of humiliation. However, this worry about others’ reactions and the resulting symptom were secondary: the reaction wouldn’t have occurred if there hadn’t been a deeper self-devaluation preceding it. Not valuing himself fully had led to an over-concern about others’ perceptions. Similarly, acne and other conditions of the dermis (deeper skin layer), have links with self-devaluation. The significant emotional experience preceding the onset of acne often relates to bullying; being teased or ridiculed about the way one looks. The thicker skin builds up to protect against this perceived attack. However, in a self-fulfilling cycle, a person with acne can start to attack themselves as ugly, creating the need for further protection and thus leading to a chronic condition. Once again, self-kindness is key to breaking out of the pattern. Subjective Perception: How do we see ourselves and others? Still, the moral behind the yoga stories remains important, as it’s true that a lack of kindness can lead to treating others badly. How does this fit with the lack of self-love we’ve been discussing? One of the less emphasised of the ten Core Principles behind META-Health is subjective perception. 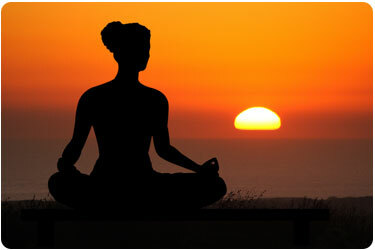 The key statements for this principle is that ‘our environment and our bodies are a reflection of our inner reality’. Add to this our behaviour, and we see that how we treat others is actually a reflection of how we treat ourselves. If, for example, one is constantly irritated with others’ behaviour (often resulting in sinus issues or frequent colds! ), this mirrors a pattern of irritability, judgement or lack of acceptance within ourselves. We can ask ‘how forgiving am I when it comes to myself and my own behaviour?’. If the answer is ‘not very’, it’s usually because we may be setting ourselves unrealistically high expectations of how we should behave or how much we should do and achieve. Over the last decade of our work with META-Health, we’ve witnessed a subtle but powerful phenomenon. Time and again with our clients, students and colleagues, we’ve seen that an increasing self-acceptance and self-love has led to a softening in all aspects of body, being and behaviour, and greater compassion for both self and others. How can we be kinder to ourselves? Fundamentally, self-kindness comes from truly accepting ourselves for who we are. Alongside META-Health, we’ve found that developing awareness of our own unique nature through Human Design and 64keys facilitates this immeasurably. It takes us out of the trap of trying to homogenise and fit in with everybody else, into acceptance of our uniqueness – our talents, potentials, qualities – and also what we previously considered to be our ‘flaws’ or ‘shortcomings’. As we’re all different, and each have our own designs, with their ‘strengths’ and ‘weaknesses’, this understanding also helps us to see why we have clashed with others, and why we have judged or been judged by them. Where we used to criticise ourselves and others for our differences, we begin to see through new lenses of curiosity, compassion and acceptance. Where I used to put pressure on myself to get things done and quickly, I can relax as an open-rooted non-sacral being, stop trying to keep up – and let go of irritation with others when I sense their pressure! Once we’re truly being kind to ourselves, we’re in a much better position to help others. Rather than doing good because we think we ‘should’, we’re coming from a place of true self-empowerment. Joanne Ross and Robert Waghmare are co-directors of the META-Health Academy. They are leading trainers in META-Health, having worked full-time in the field since 2006 and created several key innovations. They synthesise META-Health with numerous approaches, including coaching, NLP and EFT, in their courses, training and 1-1 client work. The META-Health Academy offers introductory and professional-level programmes in META-Health, EFT, META-Kinetics, 64keys and other advanced systems for self-healing and personal development. See our calendar for forthcoming talks, workshops and courses, or book an Awareness Consultation with one of our coaches.